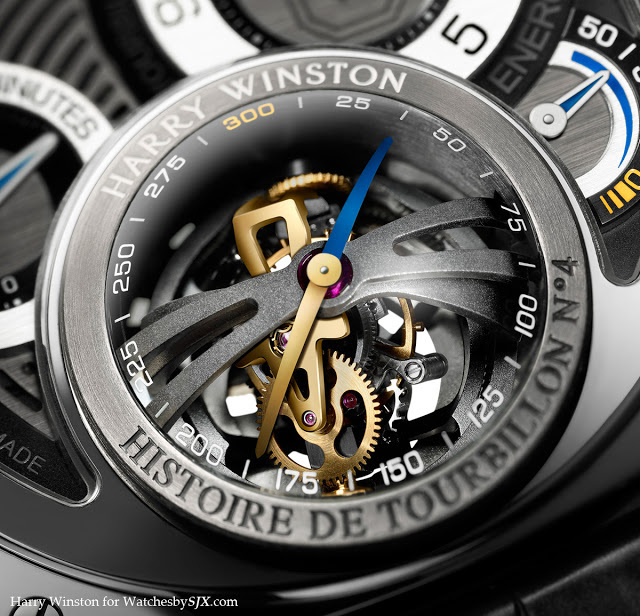 Harry Winston, which was just acquired by the Swatch Group, will unveil the Histoire de Tourbillon 4 at Baselworld 2013 in April. 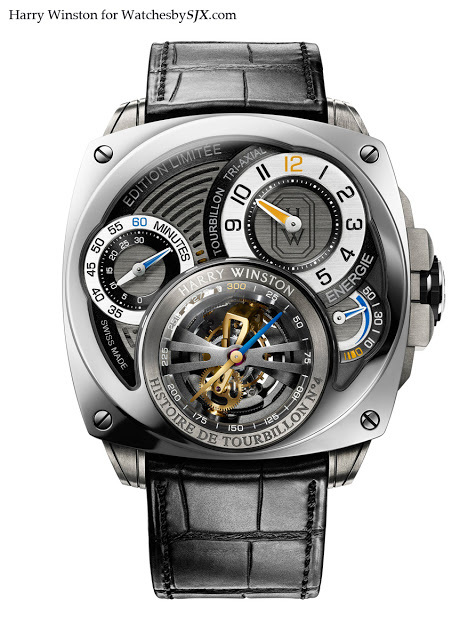 The Histoire de Tourbillon 4 is a triple axis tourbillon – the balance wheel inside three concentric cages, each rotating at a different speed. The goal of all that is to average out the errors caused by gravity in all positions, not unlike what the Jaeger-LeCoultre Gyrotourbillon does, albeit with two instead of three tourbillon cages (note the visual similarities in the tourbillon cage). The first cage closest to the adjustable mass balance wheel makes one round every 45 seconds, the next cage rotates once in 75 seconds and the outermost cage takes 300 seconds to complete one revolution. 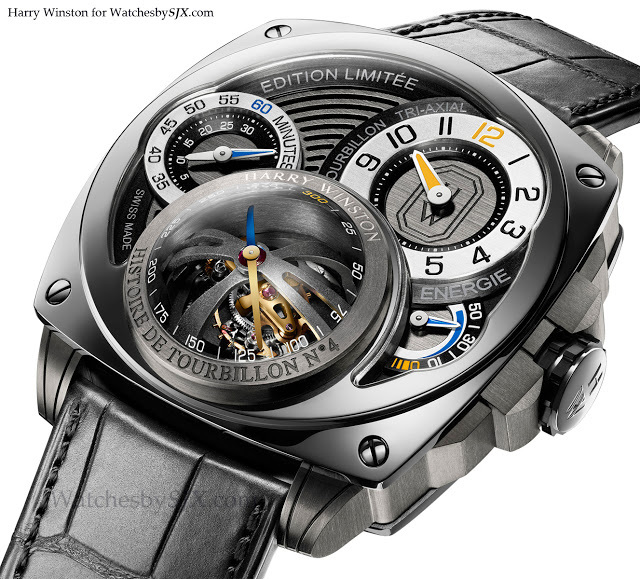 Despite its complexity and size, the tourbillon weighs only 1.57 g, being mostly titanium. 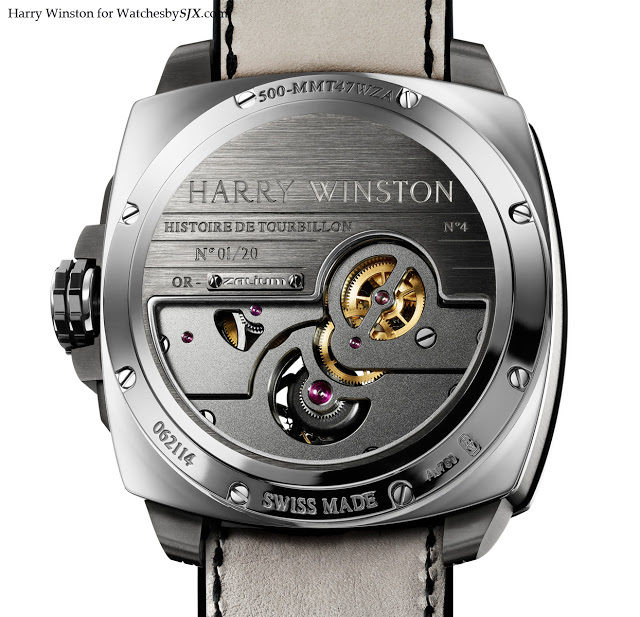 All the bridges as well as the base plate of the movement are PVD coated titanium, with a frosted finish on top and polished, bevelled edges. On the front the dial is regulator style, with the hours and minutes on separate sub-dials, along with the power reserve display at four o’clock. 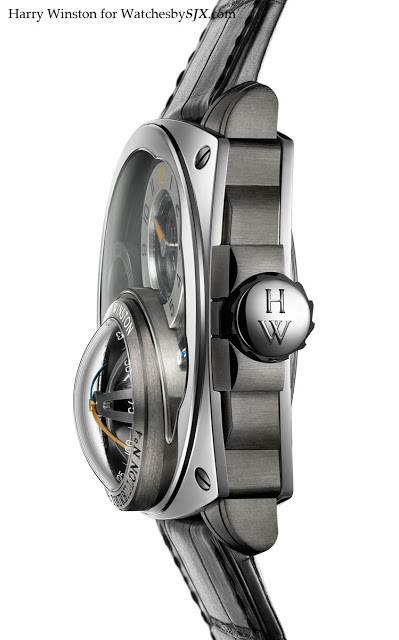 Because of the spherical shape of the tourbillon, the crystal over the tourbillon is domed. And the seconds hand is also curved to follow the shape of the tourbillon carriages.